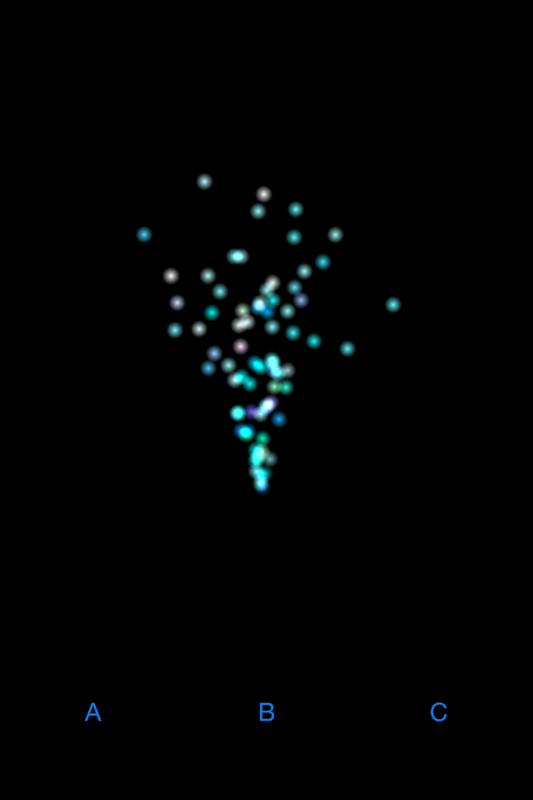 Since iOS5, iOS incorporates an easy way to create particles in your app. OpenGLES or cocos2d or other engine. and while playing with it, I find I am stuck in the "change one parameter, and execute" loop. It takes hours(!) to design a simple explosion. The app is initially designed for iPad only because it is easier to design in larger screen, but it is a Universal App so you can use it in iPhone/iPod Touches as well! get the code and implement it whenever you want. 4. Save code as txtfile and import in iTunes. There are also 2 types of codes available - init code, or modifier code. Init code is what you specify when you init the particle (inital condition). And the modifier code basically is to be placed in a method that triggered by user actions. As of this blog post date, the app is under review by Apple. EDIT: The app is APPROVED! You can get it here: GET PARTICLE-X IN App Store! Do you have any questions? Requests? Post it in the comments sections or just email me.